Indonesia rocked the mining world earlier this month putting into effect a 2009 law calling for an outright ban on unprocessed ore exports against expectations of a climb down by authorities. The Asian nation is the world’s premier thermal coal and refined tin exporter and is also a gold and copper powerhouse, but as the number two miner and largest exporter of nickel the ban was seen as a potential game changer in the market for the steelmaking raw material. While the nickel price – up 10% since the ban came into effect – has not reacted too dramatically despite the fact that almost 20% of global ore supply has been taken off the market, the ban is having some spillover effects. In a last minute compromise, Indonesian officials amended the rules under the ban, allowing base metals including copper, manganese, lead, titanium, zinc and tin to be exported in concentrate until 2017. But the country then slapped a concentrate export tax of 20% on these metals which will escalate to a whopping 60% by the second half of 2016. "There has been no concentrate export since January 12," Bachrul Chairi, director general of foreign trade at the trade ministry told Reuters. "As of now, no miners or companies have requested export approval for concentrate or processed ore from the trade ministry. "It's a problem because nobody can abide by the export tax, including Freeport," said Erry Sofyan, secretary general of the Indonesian Bauxite and Iron Ore Entrepreneurs Association. 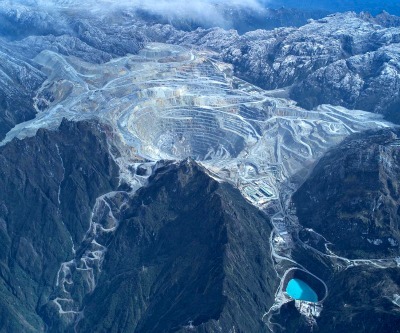 Phoenix-based Freeport-McMoRan Copper & Gold (NYSE:FCX) who operates the world’s fourth largest copper mine at Grasberg in the West Papua province, and Denver's Newmont Mining Corp. (NYSE:NEM) together account for 97% of Indonesia's copper exports.